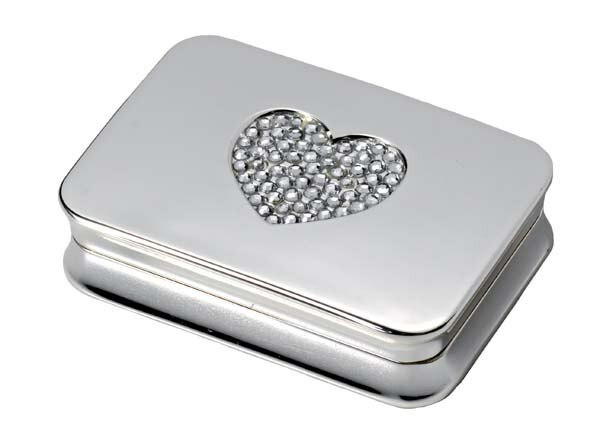 Personalised Engraved Silver Plated Rectangle Pill Box with Heart Crystal detail. The beautiful item measures 55 x 38 x 12 mm and has 2 white plastic inner compartments. Comes complete with a gift pouch and gift box. 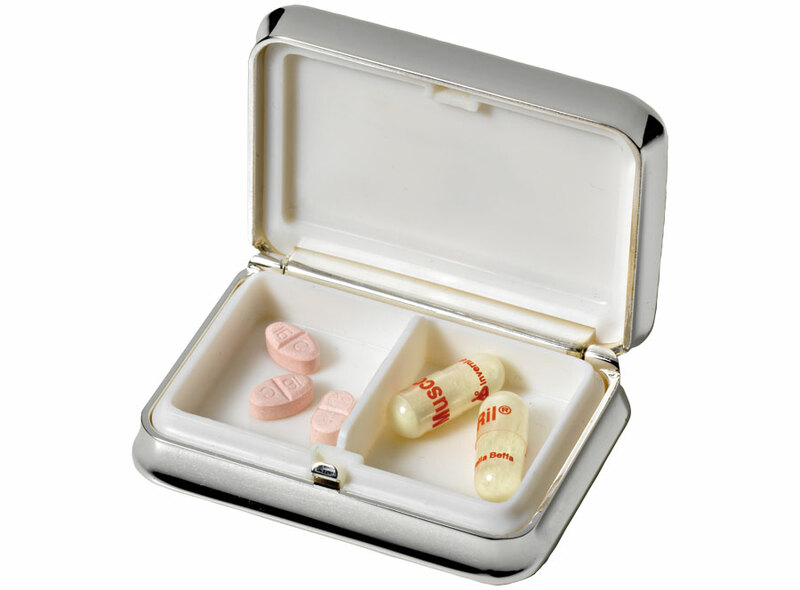 All of your engraving is done on the reverse of the pill box.